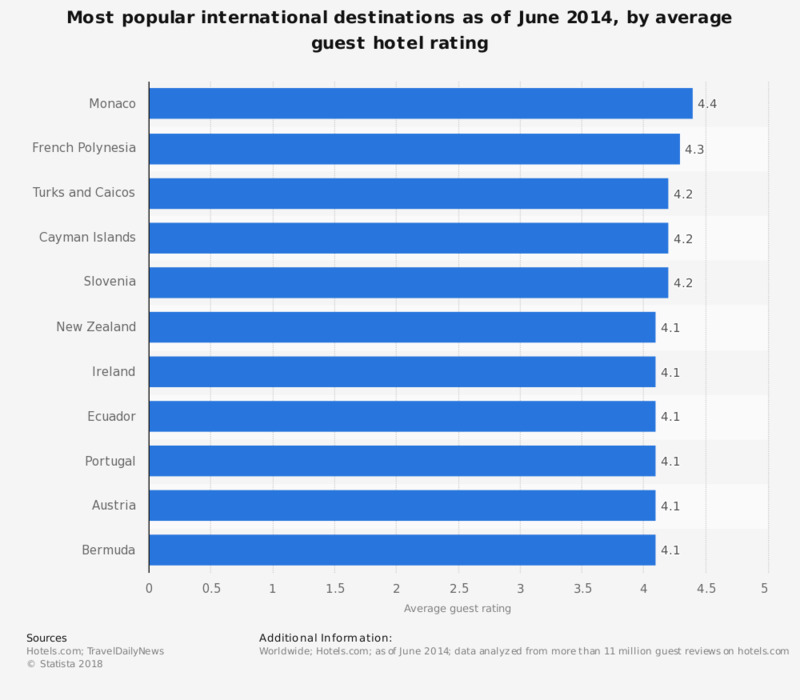 This statistic shows the most popular international destinations as of June 2014, by average guest hotel rating. Monaco, in Europe, was the most popular international destination for hotels with an average guest rating of 4.4. The source does not specify the date of survey. The date of survey provided is the publication date. How important are guest reviews to your firm? How valuable or important do you think it would be to incorporate online reviews in classifications systems? How valuable would it be to make guest reviews an integral part of hotel official star rating? How are reviews followed up on major review sites? To what extent do you encourage guests to write online reviews? What are the key elements/uses of online reviews within your firm?